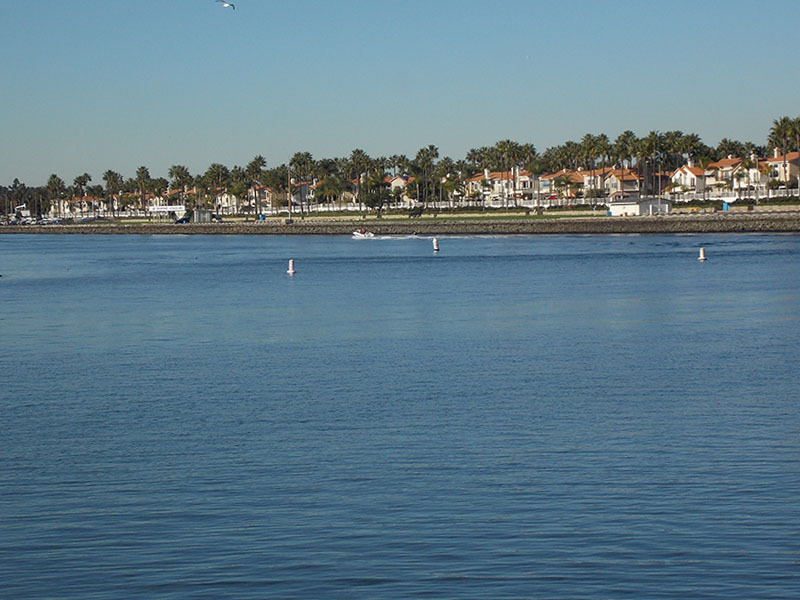 A little known area in the Long Beach area is the Alamitos Bay and Naples Canals. 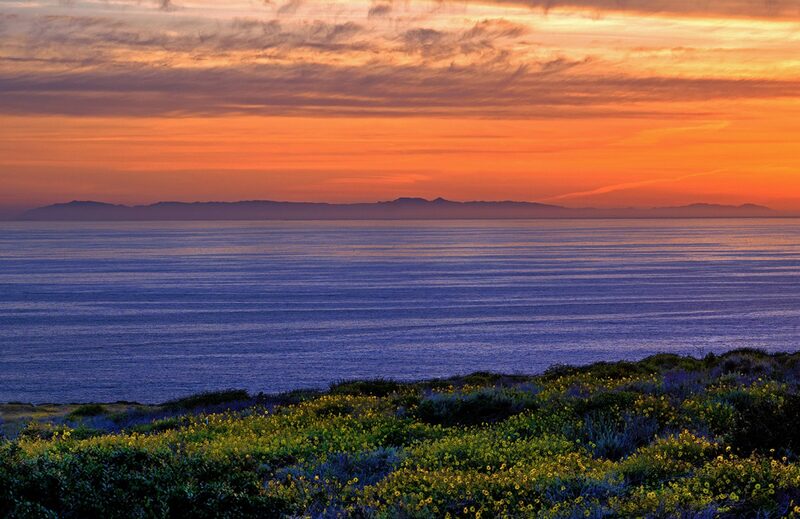 This happens to be one of my favorite places in Southern California. Nestled a couple miles from Long Beach, the Naples canals are unlike the Venice canals in Los Angeles County, mostly because they are wider and deeper. This means that more small to medium boats can travel in the canals. 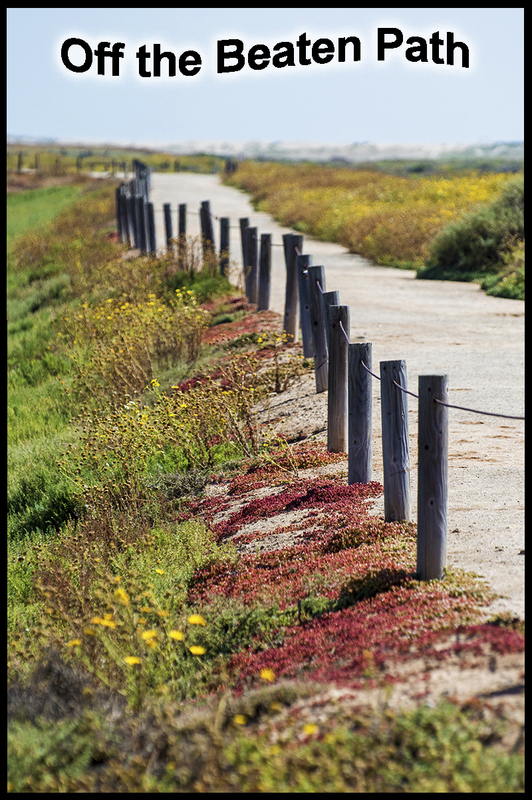 Built on three islands located in Alamitos Bay, most of the streets on the island and around the vicinity, have Italian names. The center of Naples features a large fountain appropriately called La Bella, which serves as a popular meeting spot. During the holidays the canals are ablaze with color as the colored lights reflect on the water. A good portion of the homes decorate and there are pathways and small bridges to stroll along. Gondolas float by and if you are lucky you can hear the sweet voice of a Gondolier singing Italian songs. All of this adding to an already beautiful place. There are only a few places in California where you can take a Gondola ride and this one of the few. Check this link: http://www.gondolagetawayinc.com. I looked around for any “For Sale” signs and I saw not a one. I mean, why would you want to leave! It is so peaceful and tranquil among the canals. A few residents were sitting on their porch enjoying a cocktail at sunset and I felt like yelling to them on how lucky there are. I held back, as my jealousy was oozing a little too much. Nearby on this early December day, the channels of Alamitos Bay had Christmas Tree barges lined up every 50 feet or so. This is a great tradition and made the bay look so magical. 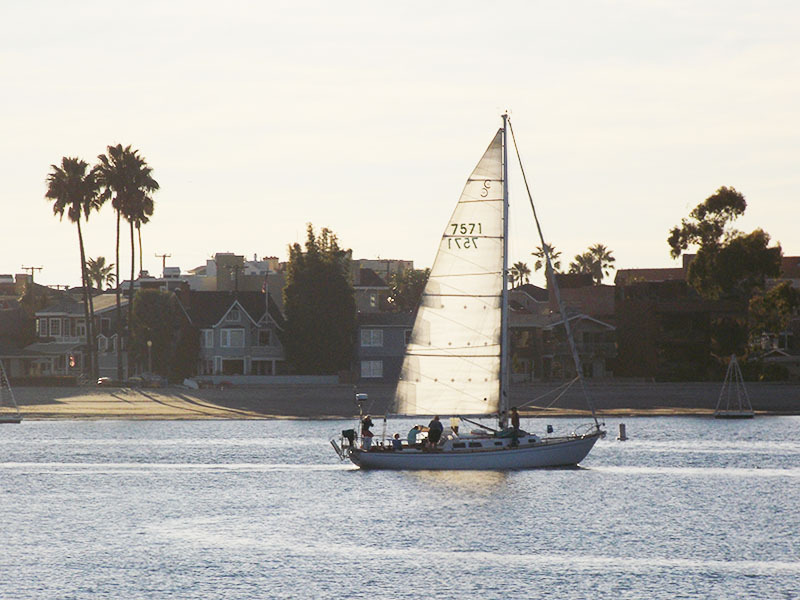 Situated near Long Beach, Alamitos Bay is a great place to visit regardless if it is the holidays or summer. It is a short hop from Long Beach’s popular attractions like the the Queen Mary, the Long Beach Aquarium, and the Pike. The locals favorite, Second Street near the Coast Highway provides plenty of shopping and restaurants. 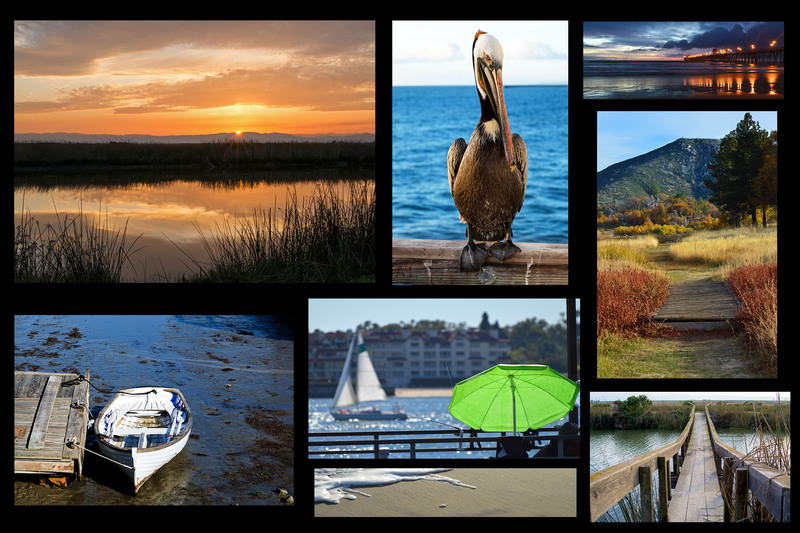 You can also rent boats, fish, swim, kayak, and all sorts of fun stuff. The Christmas trees in the day along the Alamitos Bay. 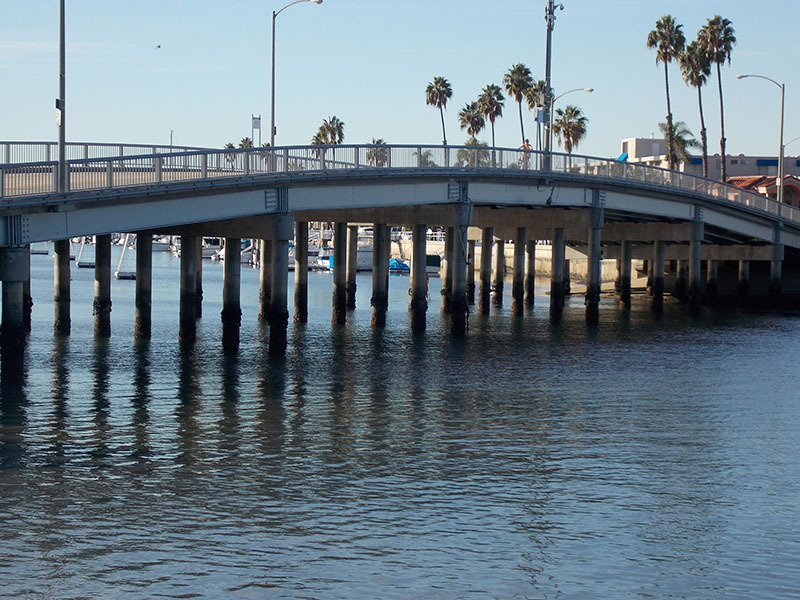 The city of Long Beach with its modern and historical buildings is only a few minutes away. All you have to do is get there! !